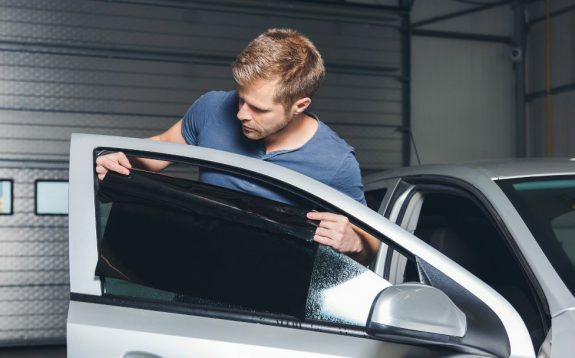 If you like to keep cool, protect yourself from harmful uv rays, or enjoy your privacy, you might be driving around California with tinted car windows. If you going to drive around with tinted windows then it's best you know the law. Not knowing the legal window tint in CA could result in a ticket. If you have already received a ticket you can enroll in an online traffic school to rectify that however you also need to adjust your windows. The California tint law exists to keep drivers safe while on the road. The legal tint in CA for car windows was designed based on the required minimum amount of light needed for safe for driving. You may want to keep your identity private, but CA lawmakers want to make sure it doesn’t come at the expense of injuring yourself or others. Customizable windows varying in color and tint help showcase your car’s personality and style. Vehicles with windows of a different shade of color and tint objectively stand out amongst the normal assembly-line-produced automobile. However, there is a limit of how much tint a person can apply to their car before it becomes dangerous. The amount of light that is allowed through your windows is called Visible Light Transmission (VLT). This is used to measure the darkness of your car’s tinted windows. The percentage of VLT varies depending on the type of vehicle you drive. California law states that sedans and SUVs both must meet a minimum of 70% VLT or allow 88% of all light to enter through the window. You can receive a window tint ticket if you find yourself cruising outside of the fine line for legal window tint. At the very least you may receive a fix it ticket for tinted windows. When you do, you will have to take your automobile into a car window tinting shop to have it professionally reapplied. Now that you know the darkest legal tint in California, let us go over why the shades can be so unsafe for the driver, passenger and others. While on the road, seeing the driver of other vehicles helps immensely with road communication. You could be a pedestrian about to cross the street or a driver behind the wheel engaging in a lane change that wants to make sure they are seen. In any scenario, making eye contact with a driver, or least knowing the person behind the wheel can see you, will help you anticipate their next action. Unfortunately, when the windows to their vehicle are too dark, and you can’t see the driver, predicting their action may not be possible. This results in higher car-related accidents. Moreover, tinted windows become even more dangerous when they shatter. If you are in an accident with a car sporting tinted windows, you could become seriously injured from the window’s film alone. The tint is a thin film that covers the window. When it breaks, the window shards will laminate into sharp projectiles, causing unnecessary additional injury to something already dangerous. Window tint laws specifically apply to the front windows. That includes the driver door window, passenger door window, and windshield window. According to the California DMV, the windows behind the driver are free and fair game for tinting. This means that you can include sporadic colors, different tints, and decals that will reclaim your coolness factor. So long as your windows in the front allow the right amount of light to access the interior of your car, you can tint up the back windows as much as you want. Before you add crazy customizations though, be sure to read up on your window decal laws.